Ava pretends to be Alex at the cheerleading tryouts in the fourth book of the It Takes Two series! Will the twins get away with their big switch? All of Alex’s new friends are trying out for the cheerleading squad, and they convince her to try out with them. There’s only one problem: she’s the least coordinated person on the planet! Alex knows she can never actually be a cheerleader, but she wants to avoid total humiliation at tryouts, so she enlists Ava to pretend to be her and try out in her place—sometimes having a twin really comes in handy! Alex instructs Ava to be good, but not good enough to make the squad. But Ava finds herself enjoying the routines, giving a great performance, and making the team! 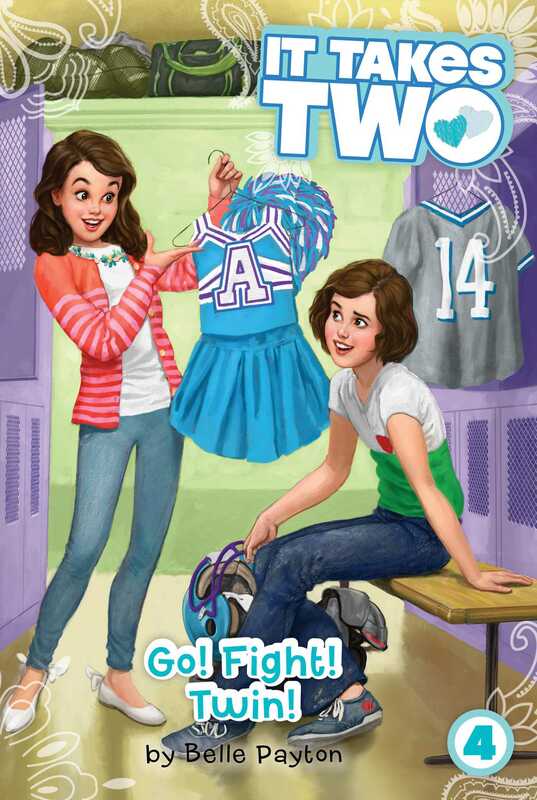 Ava can’t be a football player and a cheerleader at the same time…what’s a scheming pair of twins to do? Book Cover Image (jpg): Go! Fight! Twin!